A legacy of faith, love, and family that spans a century of change. This eleven book saga begins with Deepest Roots of the Heart, a combination prequel and sequel–the tale of a Mexican soldier who escaped death at the Battle of San Jacinto and the heritage he began in the lives of a Californio family and an Americano named Cherith. The remaining books each focus on a decade of California history and how it affected the Carrillo family of Napa Valley, California. Follow them through the end of the Californio era, into statehood, and through the Gold Rush. As the nineteenth century gives way to the twentieth, join the family as they expand the vineyards, see prohibition rip at their livelihood, and discover deeper faith as the depression compounds their troubles. And finally, as World War II looms on the horizon, weep with them as the end of a respected heritage seems inescapable. 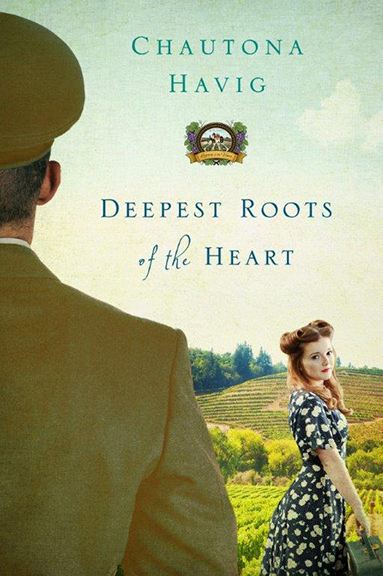 Deepest Roots of the Heart–the prequel/sequel is available on Amazon and other major retailers.